We live in a world where we are constantly on the go, from home to daycare, to soccer practice, to the grocery store, to this and that. Occasionally on the weekends we get a chance to relax but if I'm being honest most weekends are filled with family obligations, grocery store trips, household chores, sneaking in some fun, and everything in between. Because of our busy lives I make it a priority for my kids to take some time to relax, gain strength, and unwind at different times throughout the week. We turn to yoga for these moments of peace and luckily my kids love it and find great benefit from it. Strength - Strong bodies are healthy bodies. We digest food better when our bodies are strong and strong bodies can support the stress of heavy loads like backpacks which is perfect for our school age kiddos. Balance - This one is so very important for our kiddos, it teaches them that it is possible to focus your attention naturally. It can also help them quiet their minds which is so beneficial at their age living in such a busy world. Relaxation - Many adults I know sign up for yoga because it's calm and peaceful. Kids also enjoy these benefits. It's good for them to have regular time to enjoy relaxation. After a relaxing yoga class, my kids are typically so calm and ready to conquer the day. There are a few schools in Columbus integrating yoga for their students in their classrooms and it's no surprise, because while yoga is beneficial for the students it's also very beneficial for the teachers. 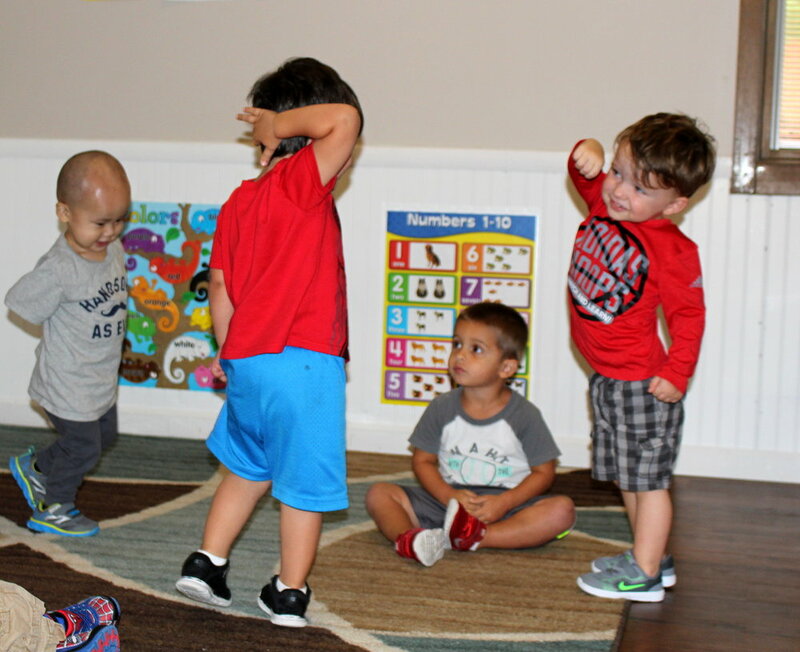 Foundations Learning Academy has started introducing yoga in all of their classrooms, including their toddler classroom, which I find amazing. I actually got to witness them practicing yoga with their toddlers and it was ADORABLE! It doesn't have to be quiet and the kids don't have to be fully engaged the entire time for the kids to reap the benefits. The most important thing at this age is to not give up, focusing on strength, relaxation, and balance every day or every week the kids are learning and retaining so much. You can see pictures from their toddler yoga class below. Look at those smiles :) Yoga for these age groups don't always have to be serious and quiet, adding an element of fun and laughter can really make yoga more exciting for little ones and get them engaged a little more. This post is sponsored by Foundations Learning Academy.